What are the Fortnite week 8 challenges? As the battle royale game’s fourth season rages on, we have the Fortnite week 8 challenges to keep us busy to earn ourselves even more juicy battle stars and premium loot. Once again, we have four challenges that reward five battle stars and three harder tasks to test our battle royale skills. The Fortnite week 8 challenges look simple enough: from damage dealing with headshots to Suppressed Weapon eliminations, your objectives here are familiar. We also havce to search for ‘Hungry Gnomes’ and we have a fresh new ‘search between’ objective. Don’t miss any of Epic Games’ battle royale additions with our Fortnite update tracker. The Fortnite week 8 challenges are live now after being leaked ahead of time, as per usual. Below you will find the Fortnite week 8 challenges and how to complete them. If you haven’t finished the challenges from previous weeks of season 4, don’t fret – here is how to get the Fortnite week 1 challenges, Fortnite week 2 challenges, Fortnite week 3 challenges, Fortnite week 4 challenges, Fortnite week 5 challenges, Fortnite week 6 challenges, and the Fortnite week 7 challenges. Also, make sure you don’t forget about your Carbide and Blockbuster challenges, too. Damage challenges are only really difficult when you have to use a weapon that doesn’t play to your strengths. This week, however, you’re going to need to make sure your accuracy is up to scratch. Look out for weapons such as scoped rifles to give you a helping hand in this Fortnite week 8 challenge. Locations that play host to chest challenges always get busy, so it might be a bit easier to nab this one later in the week to avoid the inevitable traffic. There are 13 possible spawn locations in Salty Springs, so get ‘em opened and the five battle stars are yours. This is a very simple one, especially if you’re going the distance to the closing stages of a match. Even if you’ve got a decent arsenal, keep opening those glowing boxes of loot goodness to complete this challenge. There is no treasure map this week, but we will be hunting down more cute little collectibles. 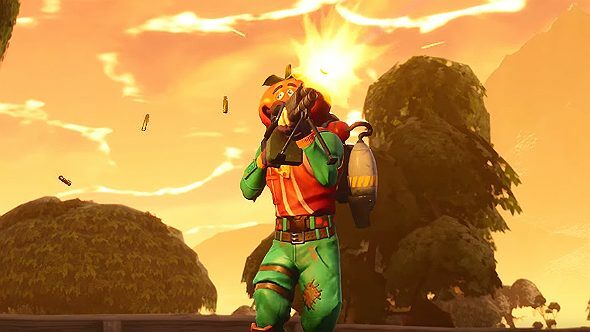 In a similar vein to the Rubber Duckies, this week you will be looking out for Fortnite Hungry Gnomes dotted across Epic’s island. Every Hungry Gnome makes a ‘yummy yummy yummy’ sound as you apprach them, so make sure you’re listening out so you can find seven of them. Salty Springs – in the corner of the gas station to the North East. Tomato Town – head to the main tomato building and it’s hidden by the sink on the western side. Football pitch 1 – west of Tilted, this Fortnite Hungry Gnome is, suitably, inside the taco stand. Football pitch 2 – east of Junk Junction, this one is in the other taco stand. Pleasant Park – in the north-eastern gas station, in the corner. Greasy Grove – in the corner by a barrel in the basement beneath the diner. Retail Row – in the corner on the top floor of the northern supermarket. Lucky Landing – hit the fridge with your harvesting tool in the southern diner. Another week of Fortnite challenges means another round of searching between three objects that would not otherwise be grouped together. So that’s nice. 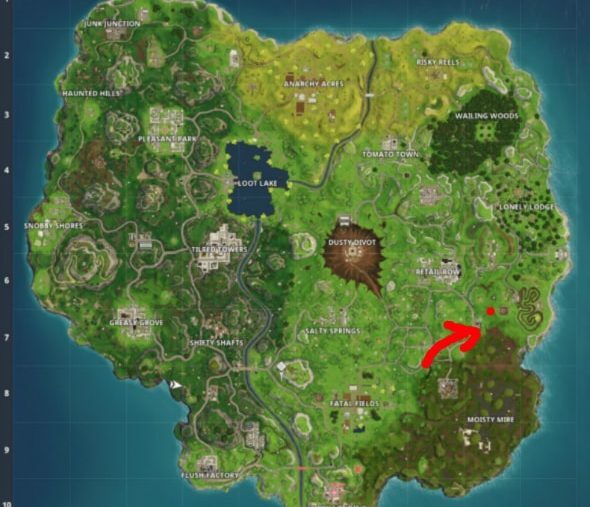 If you search between a Bear, Crater, and a Refrigerator Shipment, this will take you near a bomb crater south-east of Retail Row. Directly west of that crater is a dry patch that shows you where the battle star is. Get ready to get your stealth on for this Fortnite week 8 challenge. With a suppressed weapon such as an SMG or pistol equipped, pop the clogs of three of your battle royale rivals to get ten juicy stars. This little neighbourhood is about to get a lot less lovely than it’s name might suggest: Pleasant Park is your theatre of war this week. 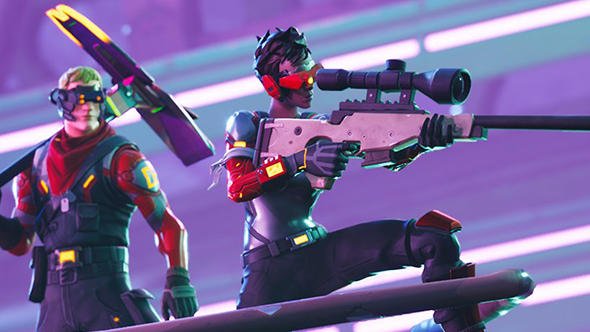 As soon as the latest set of Fortnite challenges go live, you’ll have no shortage of cannon fodder with which to complete this task.